Whether it’s a late-night snack or hearty meal, warm up on the inside with comforting soups & broths from Progresso. 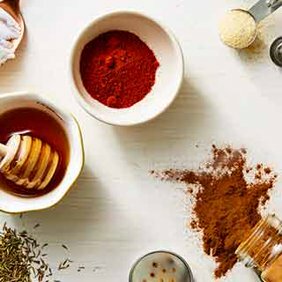 From cooking basics to canned goods, find everything you need to replenish your kitchen. With work, family and other obligations, sometimes it's hard to take the time to make an elaborate meal for those you love or even just for yourself. When it comes to whipping up something delicious, any opportunities to take a shortcut or two can mean less time in the kitchen and more time relaxing or taking of what you need to do around your house. 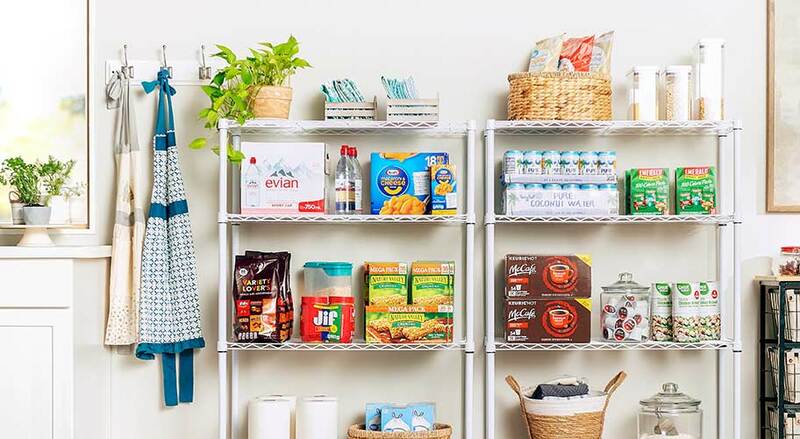 Save money on staples like pasta, rice, canned goods and other meal solutions because of our Every Day Low Prices, and stock your pantry and cupboards with all the food you need to make tasty home-cooked meals. Having a supply of canned goods on hand means that you can make quick, wholesome meals without using anything out of your refrigerator or freezer. Some items like soups, beans and canned meats are meals in themselves. Items like beef stew, corned beef hash, chicken and dumplings, and beef tamales make ideal main courses that you can pair with other pantry items. If you want to make sandwiches, there are plenty of canned choices available, such as tuna, ham, chicken, pulled pork and corned beef. Use these items as-is, or mix them with condiments and fresh vegetables to make complete meals. Some canned spreads liked deviled ham have everything combined in one can so all you need to do is open the can and add the spread to bread or crackers. Open a can of soup and heat it up to have with your sandwich, and you have a delicious, wholesome lunch or late-night snack. To make your meals complete, you have many different options in canned vegetables and fruits. Everything from corn, peas and green beans to asparagus is available in cans, or you can choose less-common items like artichoke hearts, hearts of palm and succotash to add some variety to your dinner table. If you're having tacos, try canned refried beans, green chilies and jalapenos to add some flavor and spice things up a bit. If you're cooking something from scratch, you can use certain canned vegetables to save yourself a few steps. Diced tomatoes and sliced mushrooms can help you make a marinara or spaghetti sauce that everyone craves. Heat up some canned yams, and you have one less thing to prep when making a holiday meal. Canned fruits make having a nutritious, sweet snack as simple as opening a can or a jar. Fruit cocktail is a sweet mixture of many favorite fruits combined in syrup or their natural juices. If you're a baker, there are many canned fruits you can use to bake pies or serve as toppings on cakes or other pastries. Save money by buying your canned vegetables or fruits in bulk packages or family-size cans. Boxed meals are terrific convenience items because they either have everything you need to make a great meal included in the box, or you only need to add a protein, such as ground beef or shredded chicken. Everyone in your family probably loves macaroni and cheese, and you can make great-tasting mac and cheese in a matter of moments with one of our prepared boxes. If you have the protein taken care of, such as roast chicken or steak, but need a quick side to make, you have many options available, including stuffing mix or au gratin potatoes. Some of our boxed meal solutions require nothing more than water, which you can use to whip up mashed potatoes or red beans and rice. Speaking of rice, the possibilities are endless when it comes to the rice dishes you can make for your family in just minutes. Some of our rice options require cooking, but some only require a pot with boiling water or a microwave. You can whip up some Spanish rice or quinoa and brown rice in a couple of minutes but have them taste like you worked hard in the kitchen to make these dishes. If your family loves pasta, mac and cheese is only the beginning when it comes to making great noodle dishes. In the time that it takes for you to boil some spaghetti, ziti, penne or egg noodles, you can mix them with a jar of sauce such as meat-flavored spaghetti sauce with real ground beef or sausage, or a creamy sauce like Alfredo and have a wholesome meal ready to go in about 20 minutes. If time is really an issue, we have canned pasta that you can heat up in a pan or microwave for a full meal within minutes. If someone in your family is allergic to gluten, we even have gluten-free pasta and noodle options for you. To complete your meal options, you can stock up on everyday essentials like condiments, salad dressings and peanut butter and jelly. It's always a good idea to keep a supply of mustard, ketchup and mayonnaise on hand because these are staples for making sandwiches, but they also serve as flavor enhancers for sauces. For example, if you're making pork loin or pork chops, a sauce made with mustard, honey and spices that you rub onto the pork before cooking can add great depth of flavor. Having sweets like honey, peanut butter, jams, jellies and fruit spreads on hand means that you have a quick meal ready to go anytime as long as you have some bread or crackers in the cupboard. Other items that you may want to have as part of your fully stocked pantry include pickles, olives, salad dressings, syrups, vinegars, oils and premixed sauces.